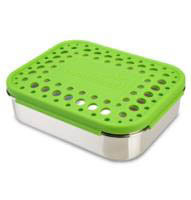 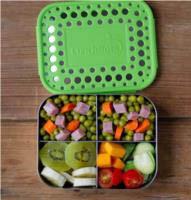 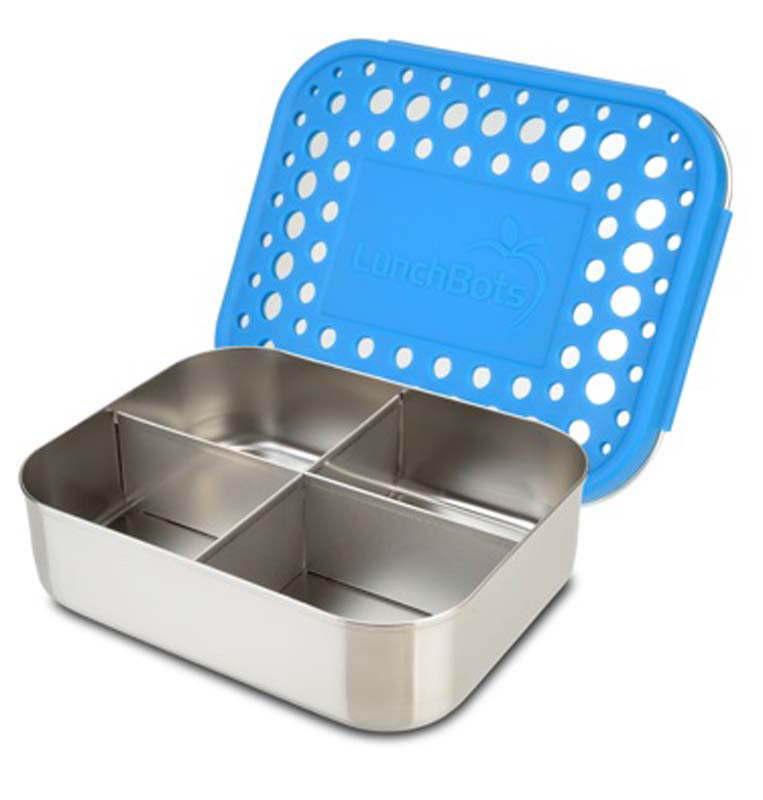 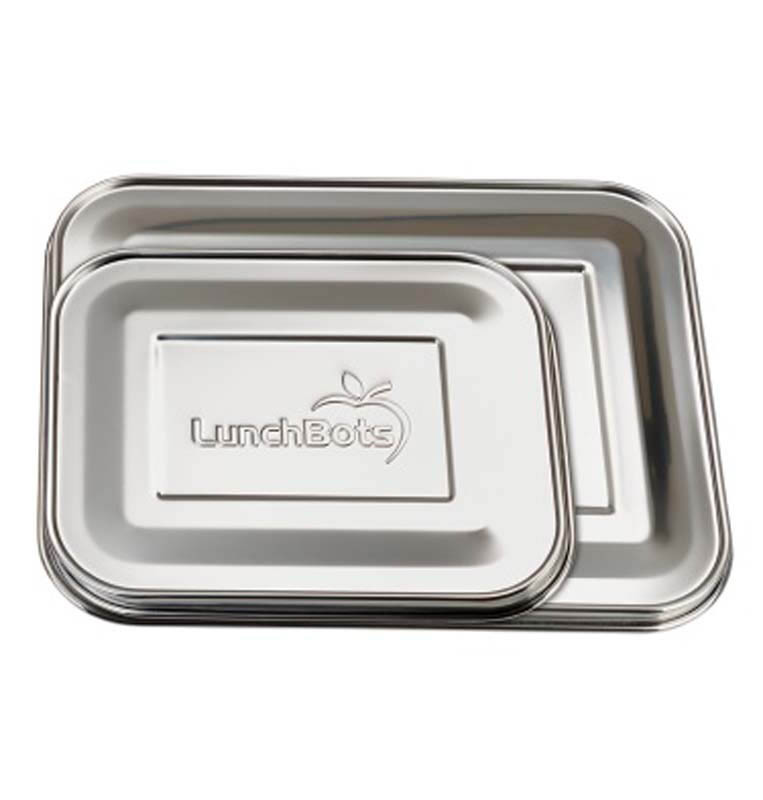 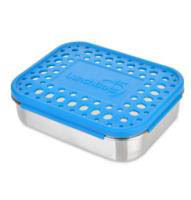 LunchBots Quad Stainless Steel Food Containers feature four compartments for balanced snacks or lunches. 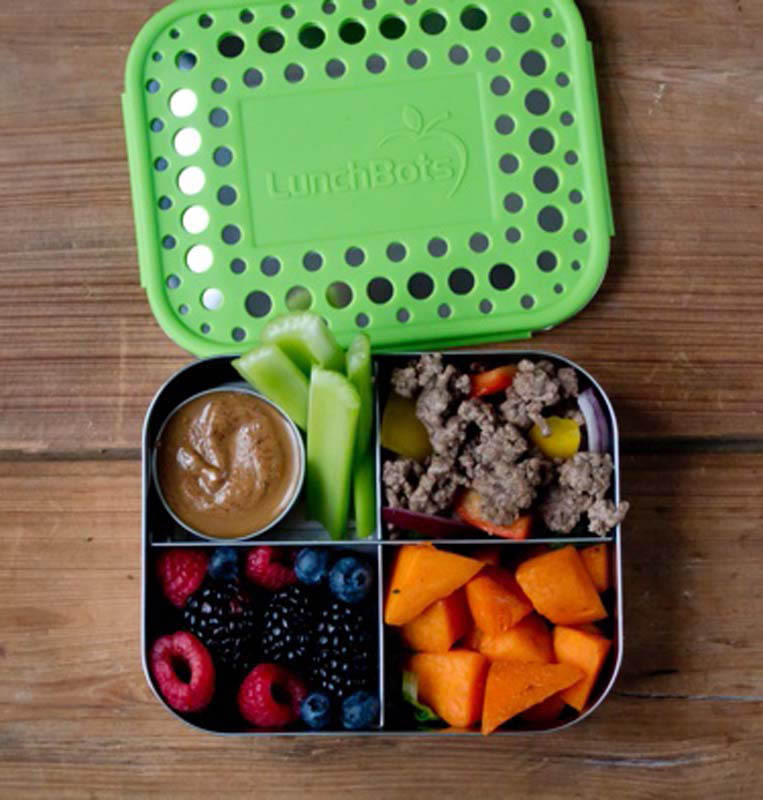 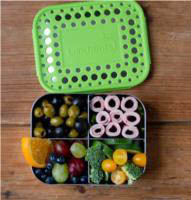 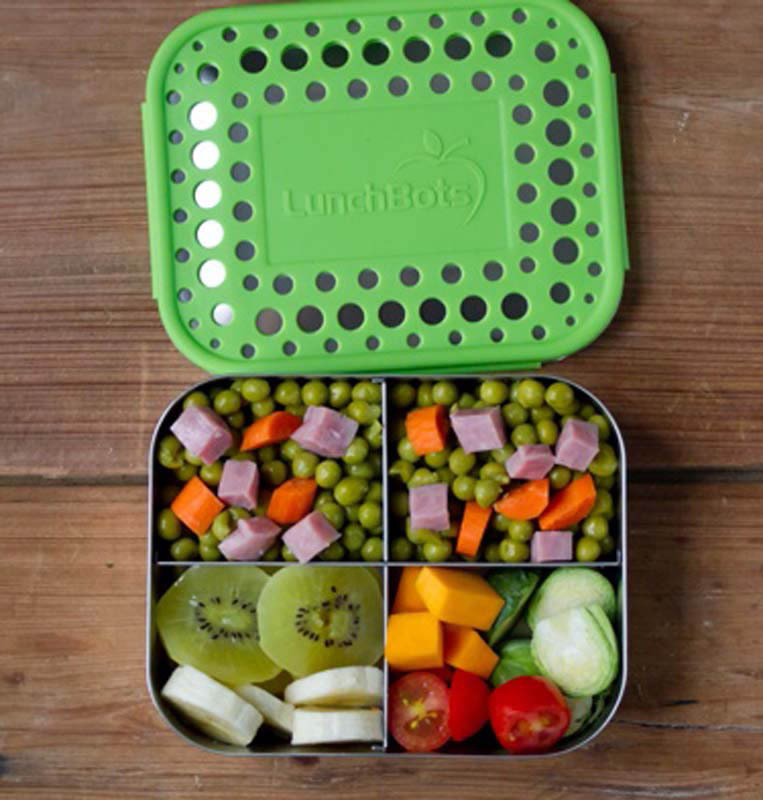 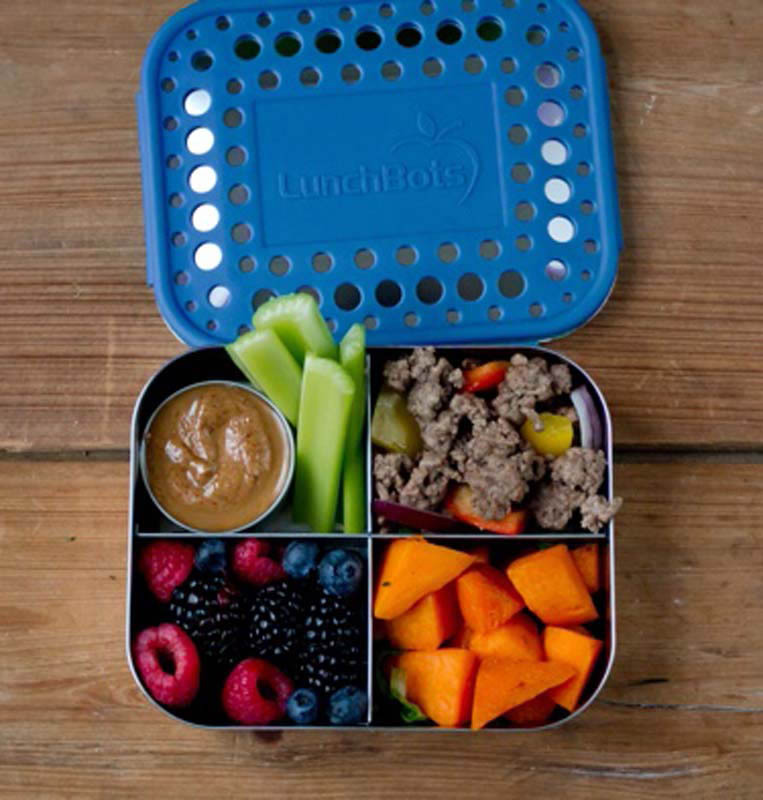 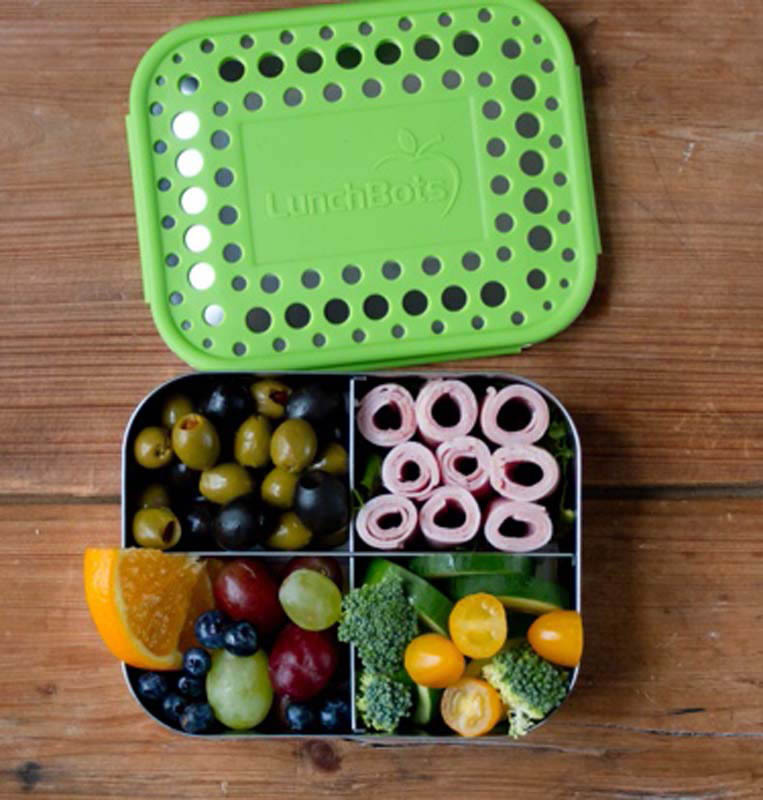 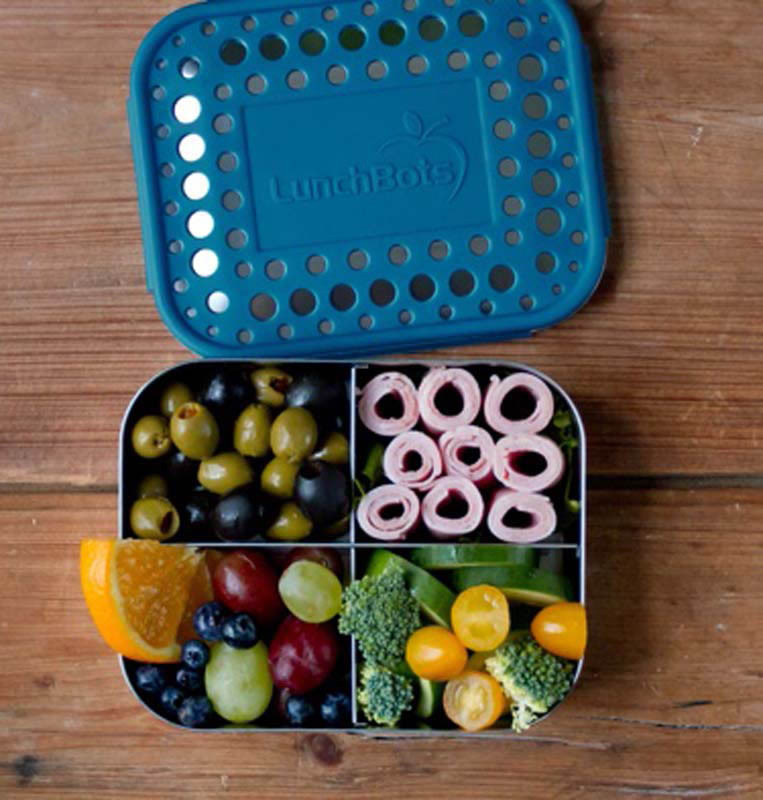 The four divided spaces makes organising lunches and snacks fun and easy for your little ones or yourself , ensuring nothing comes home in the box after school or a day out ! 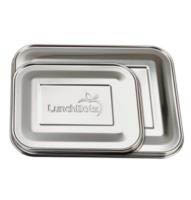 These stainless steel containers are made to last and will be used for many years by your family. 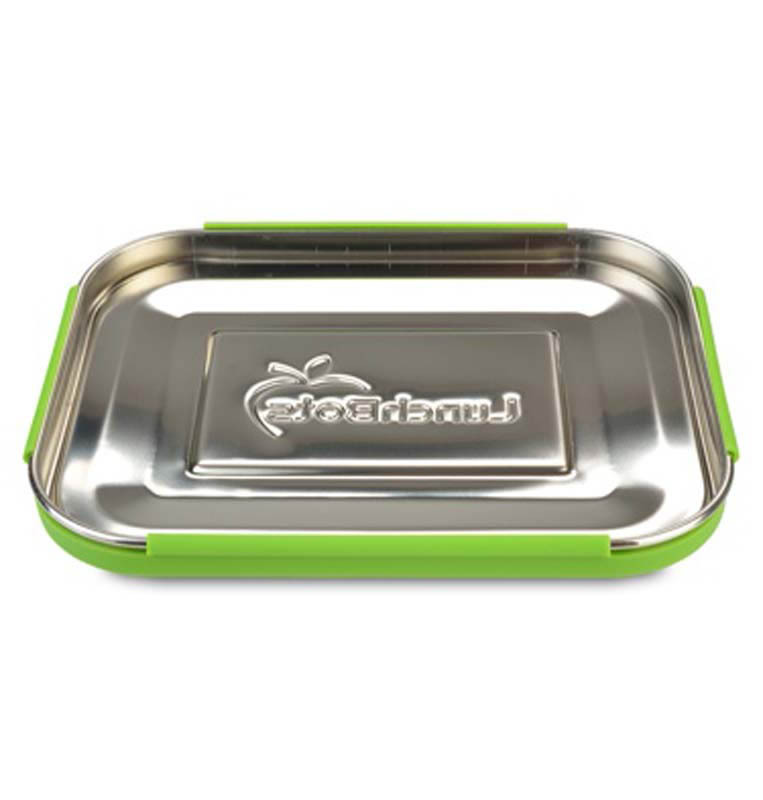 •Only food grade stainless steel comes into contact with your food. 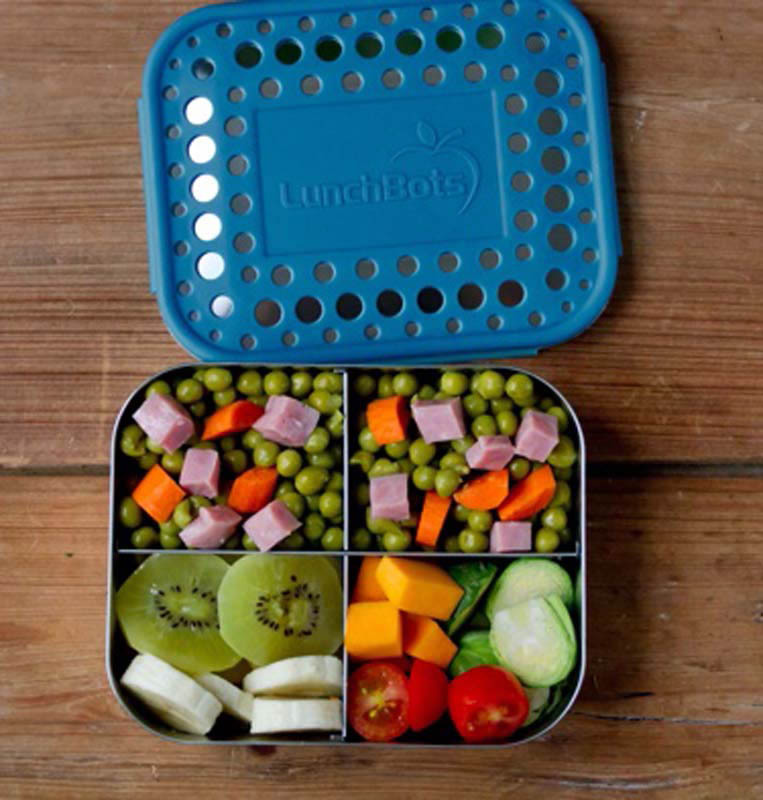 No linings. 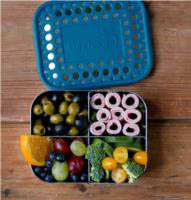 No toxins. 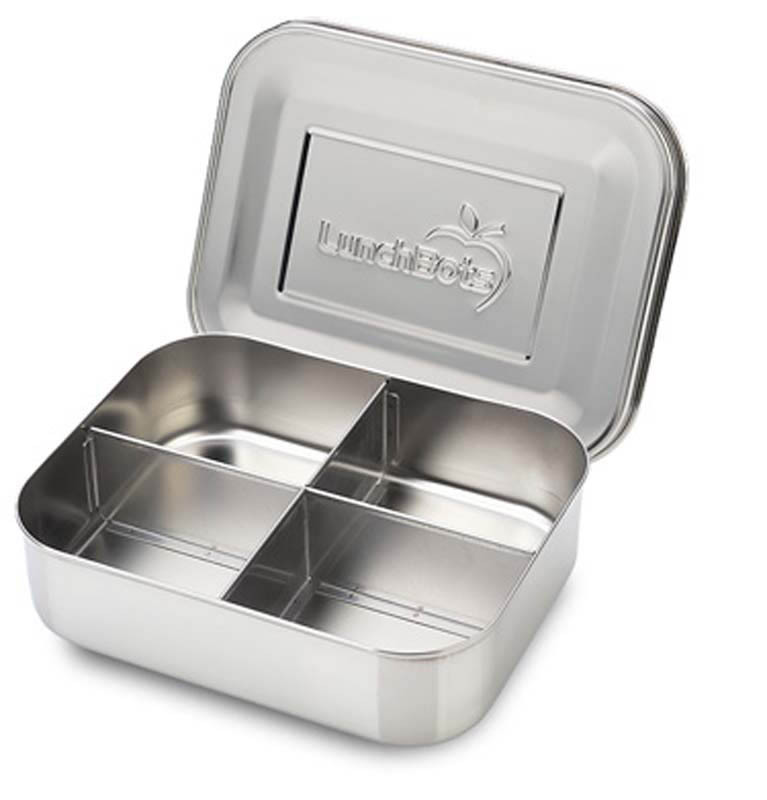 •Made of the highest quality 18/8 stainless steel, easy-to-clean, and virtually unbreakable. 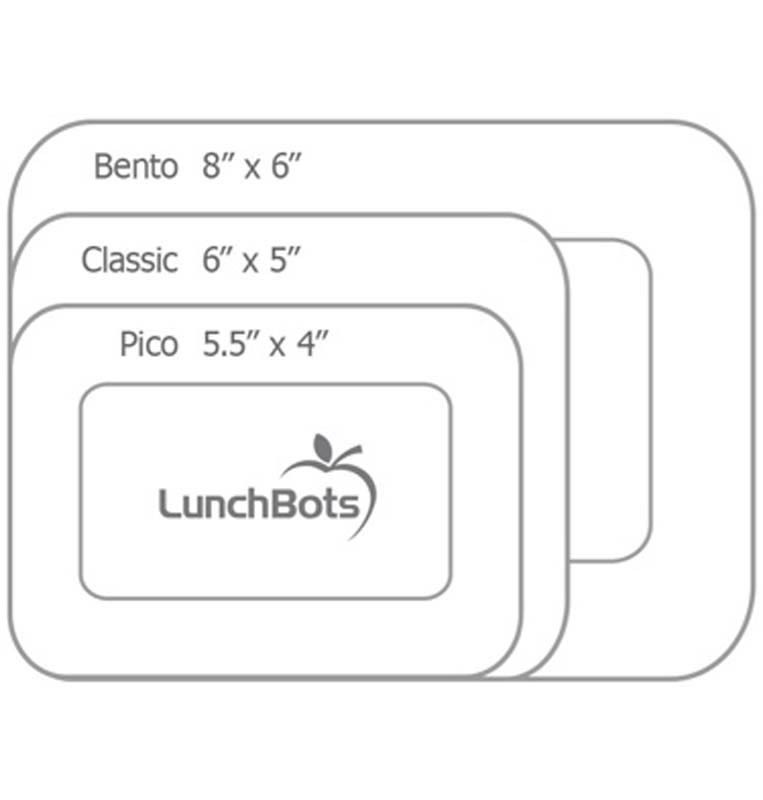 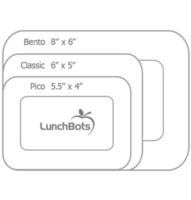 •Refill your LunchBots over and over, save money and add zero waste to landfills. 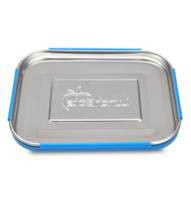 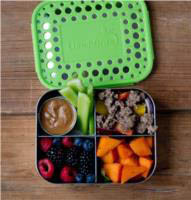 •Quad food containers are best for dry foods as lids are not water tight. 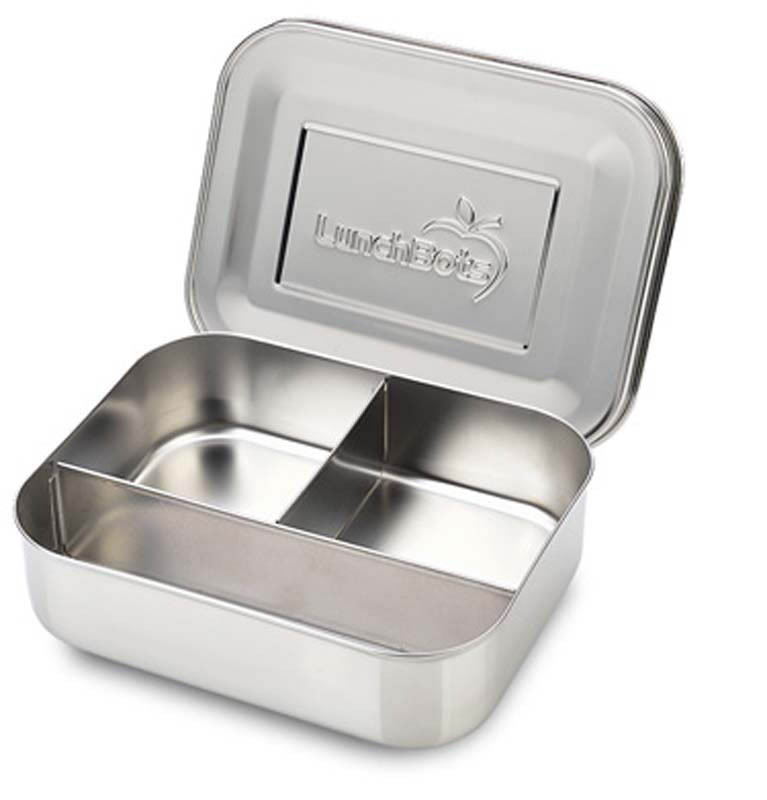 Stainless steel is safe and dureable. 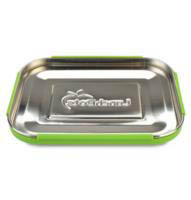 Reuseable and recyclable. 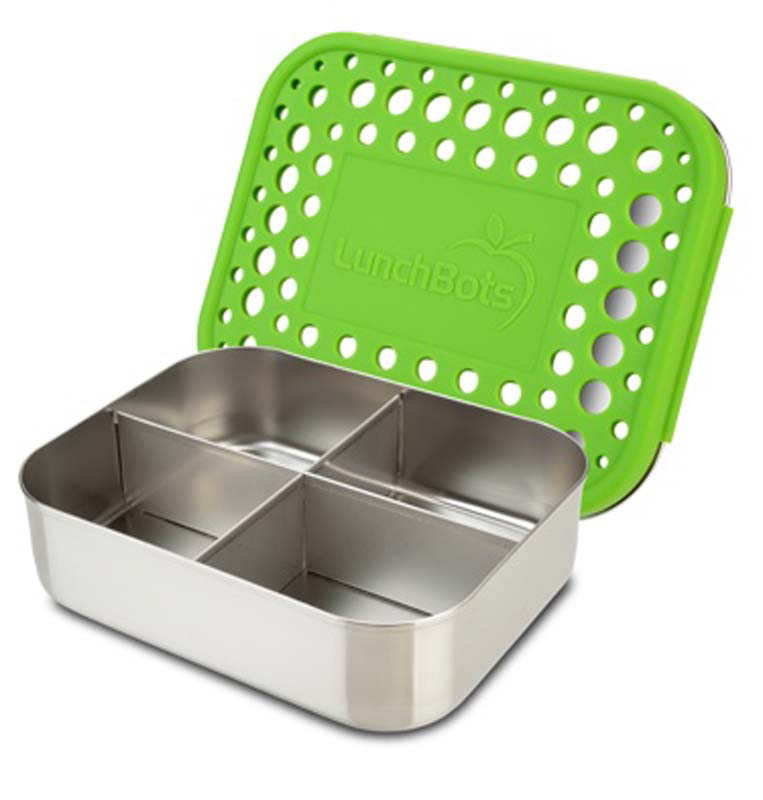 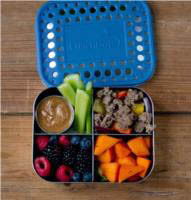 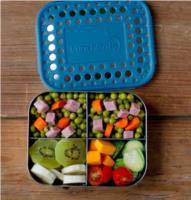 Not only do LunchBots meet theses standards but they are also super functional , easy to use and fun ! 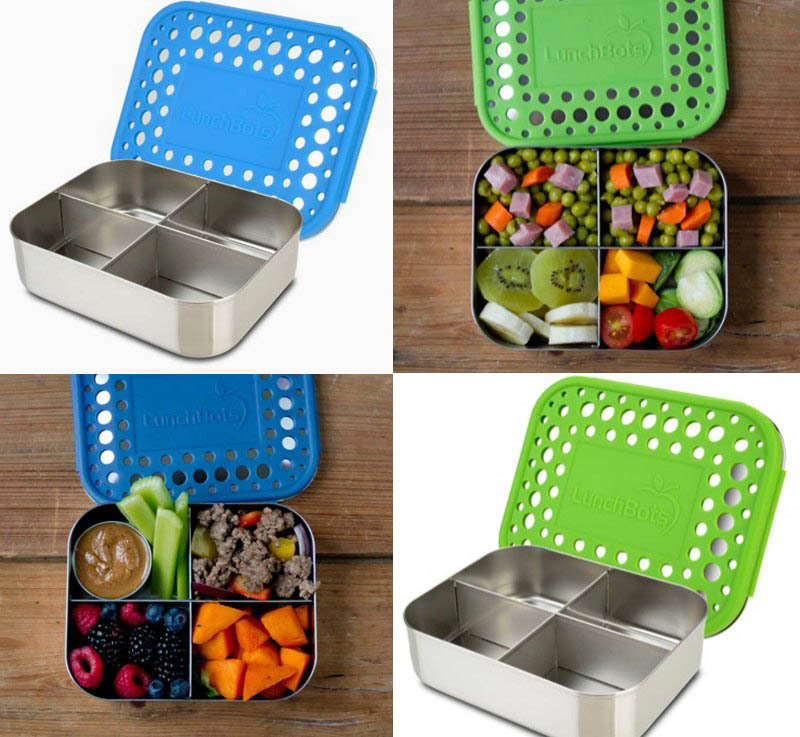 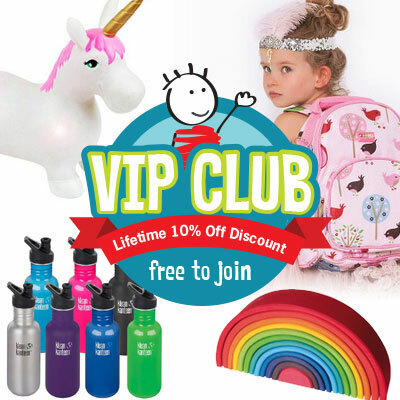 •Durable enough to last a lifetime - more practical than glass or plastic its virtually indestructible. •Easy to clean , the rust and stain resistant properties of stainless steel ensure that food containers look great for years to come. 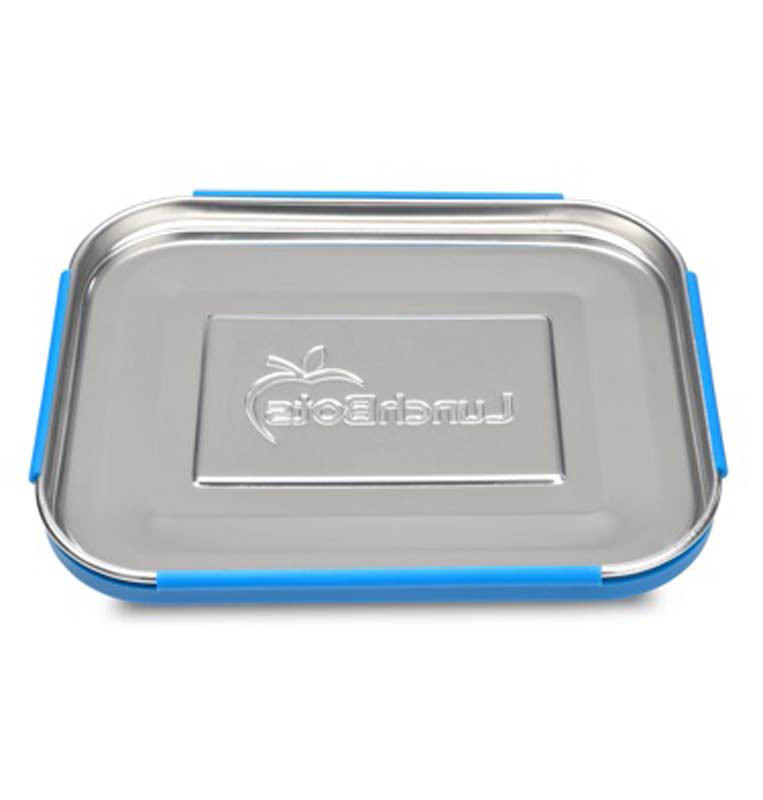 •Stainless Steel is 100% reuseable , 100% recyclable Stainless steel is one of the most recycled materials on earth , compared to plastic containers which are hardly ever recycled but thrown into landfill !